This is the Caribbean island that you’ve been dreaming of: without the cruise ships, high rise hotels and tourist traps. Snorkel through colorful coral and underwater museums, journey into lush jungles, and enjoy some of the world’s most incredible sunsets. Or explore open air food markets, walk black sand beaches, and taste local spices and rum. It’s all waiting for you in magical Grenada! You’re sitting oceanside, eating fresh crab inspired by a local recipe. Your second rum punch is the perfect accompaniment to the black sand beach surrounding you. And that’s the most perfect part, that the ocean is the only thing surrounding you, like you have the island all to yourself. This is Grenada, the Caribbean island you never knew you needed: without the tourists, overcrowded beaches, and lackluster hotel food. 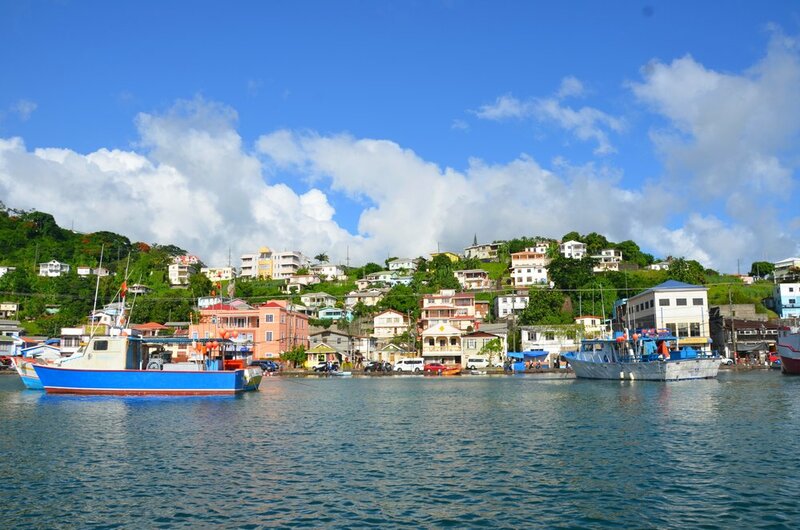 Grenada is one of the Caribbean’s best kept secrets. It’s likely that you don’t know many people who have been there, and that’s part of it’s magic when you arrive. Stunning beaches, waterfalls, food and nonstop music await you on “Spice Isle.” With winter just around the corner, why wait? Sign up for our Grenada guide series HERE. “When you have insight into a place from someone who takes as much pride in people and the places they come from as CrushGlobal, it makes for a trip that's unlike any other. One where you'll find things you wouldn't have found, taste things you might not have tried and feel things you may not have felt. Thank you, CrushGlobal, for bringing what you bring to travel and my Grenada adventure!" - Tara D.